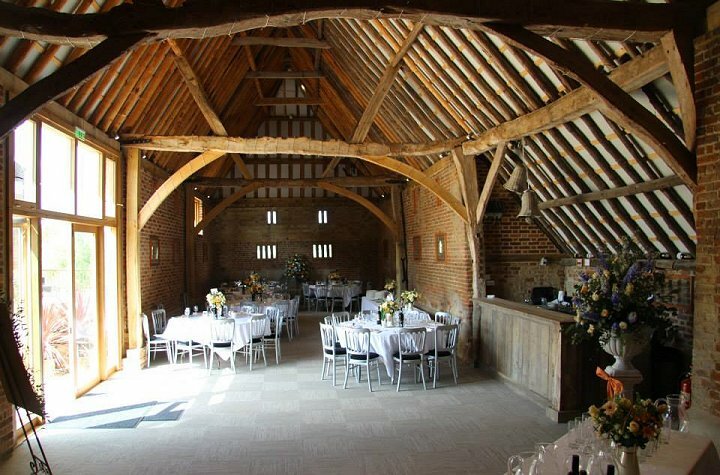 With a traditional thatched roof and stunning oak beams, this incredible Grade II -listed building in Cambridgeshire is the perfect place for an incredible wedding breakfast or reception. We can offer tradition, tranquillity and a totally unique venue for any special occasion, especially wedding receptions. 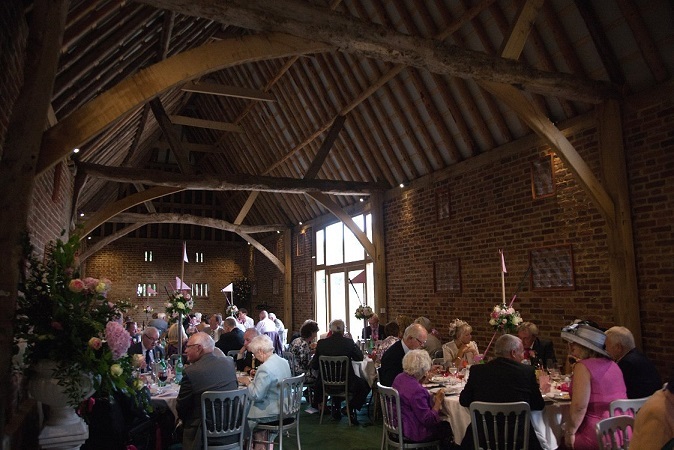 The barn has been renovated with all the modern facilities, including a bar made from the original roof timbers and can host up to 120 guests. 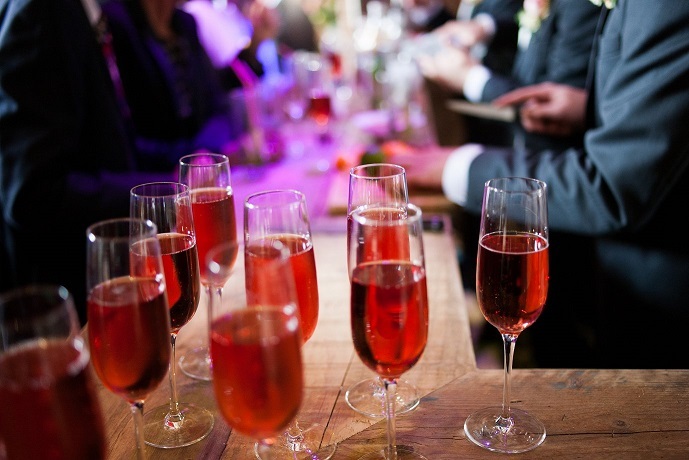 Choose from one of their two high quality caterers for a delicious wedding breakfast. The 400 year old barn is situated on a working farm, and the surrounding fields and crops make for some astounding wedding photos, capturing the tranquillity of the Cambridgeshire countryside. 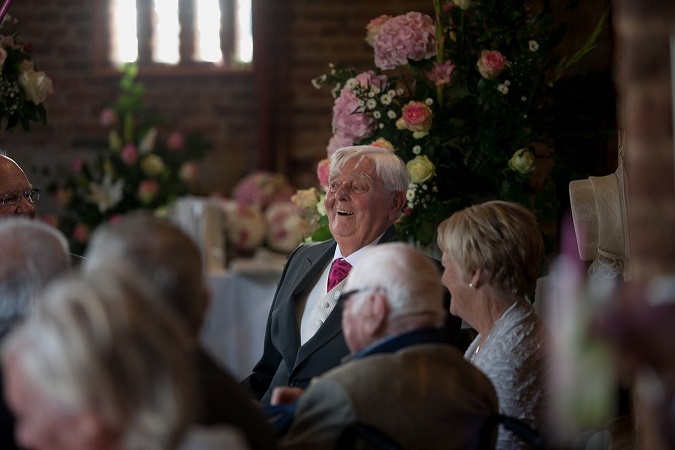 The barn itself is recognised by the English Heritage Awards and situated just across from the charming Church of the Holy Cross - the perfect site for your wedding ceremony. 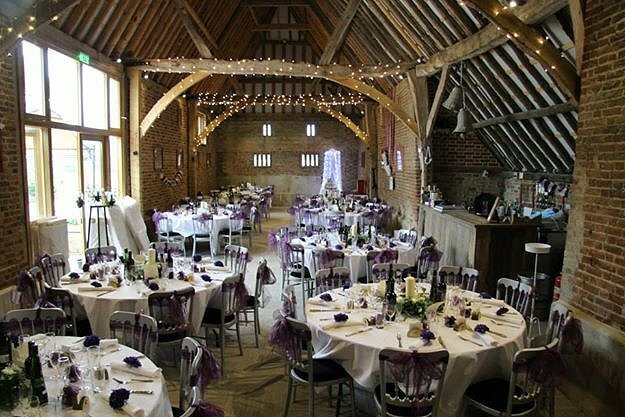 The stunning barn is the perfect site for a wedding breakfast or reception. 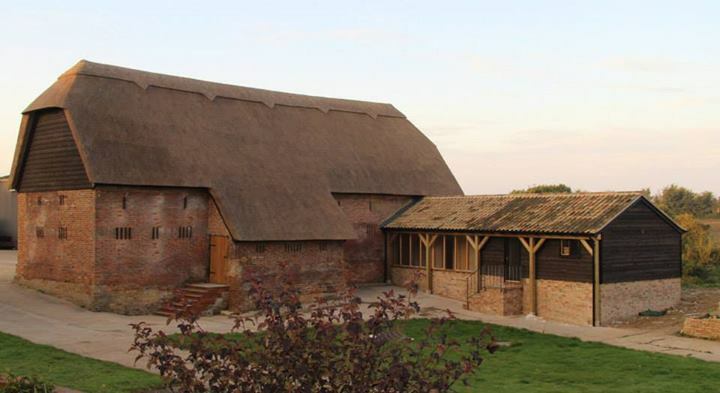 It boasts a stunning thatched roof, original oak beams and stunning multi-coloured brickwork.The barn even features a bar made out of the replaced wood timbers from the roof. 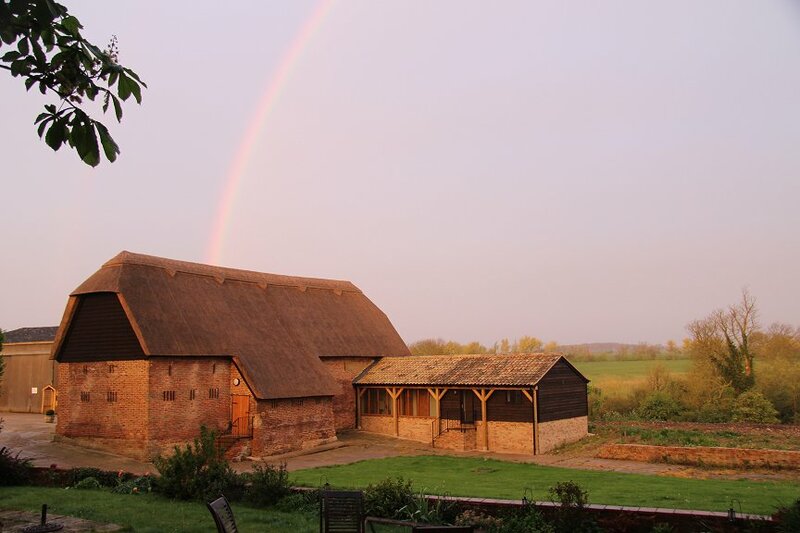 While the barn is not licenced for ceremony use it is an incredible location for a blessing or ring exchange and makes the perfect place to enjoy your wedding breakfast or reception. 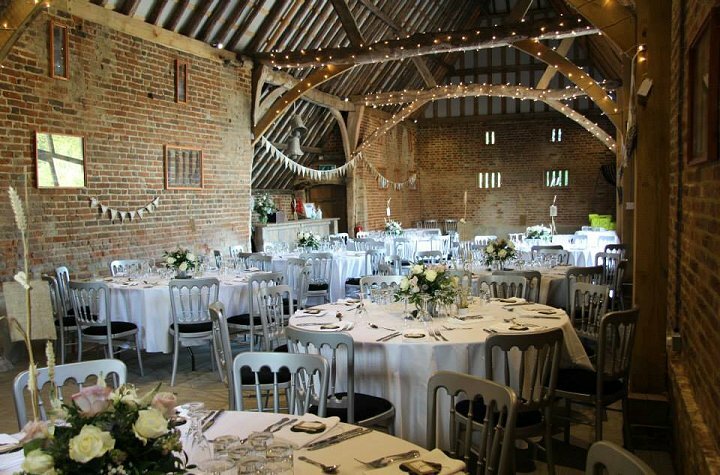 The Barn prefers to keep its wedding venues entirely bespoke, allowing you to decorate and celebrate as you wish and therefore prefers to create any bookings on a bespoke basis. 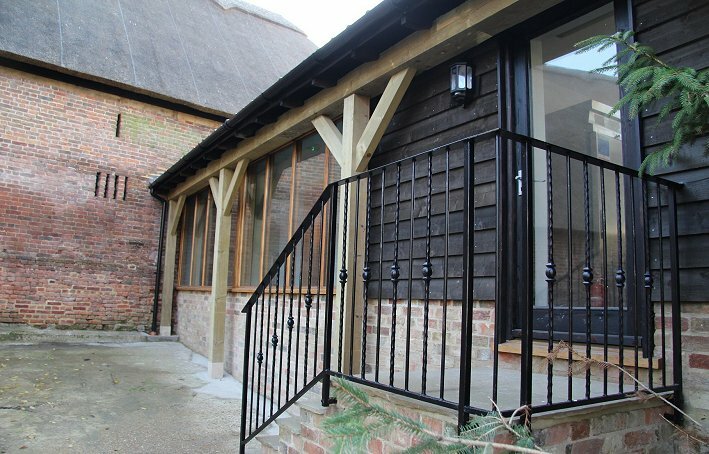 Some of the standard facilities included in hiring the barn are exclusive use, licenced bar, a fully fitted kitchen and an outdoor decking area. 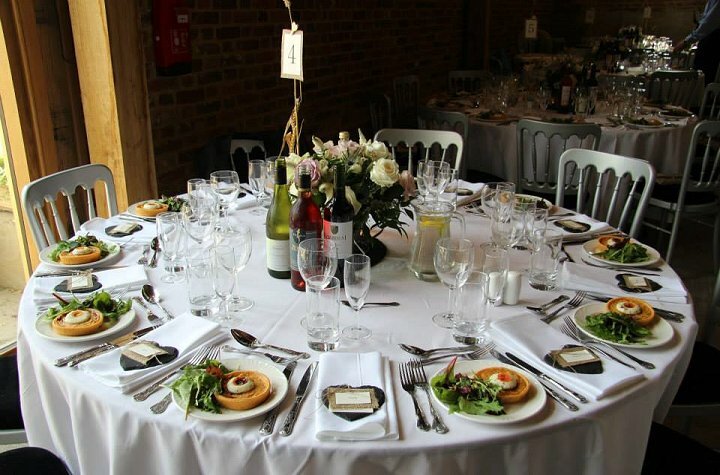 The barn offers an in-house list of incredible caterers for you to choose from. The caterers are versatile - eager to design a menu that suits you - and can offer a range of options from hog roasts, a la carte or anything in between. If you are interested and would like to know more head on over to their website or just click below to get in touch. Thank you Sanchia and team!! 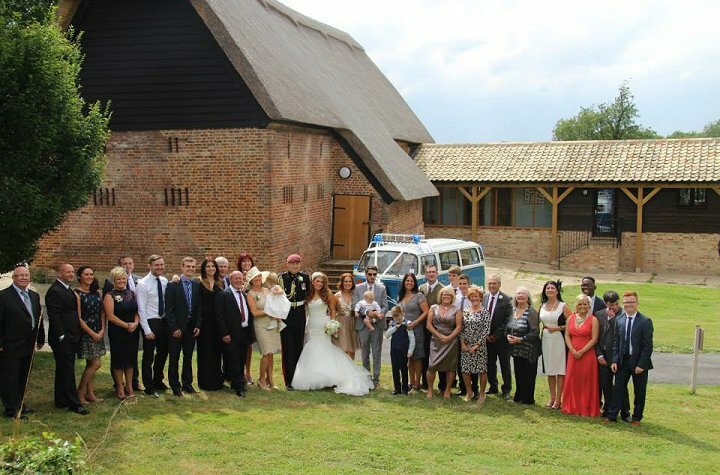 Our wedding day on 8th July was one to remember and the barn really is the perfect setting. Sanchia was born to host weddings - she was fully on board with our ideas and plans to have a glowstick rave! And on the day Sanchia and her team worked really hard to make sure it all went smoothly. She gently and suggested ideas, improvements and worked with our groomsmen and photographer to ensure that things on the day were in control and sticking to schedule - which meant that my husband and I could fully enjoy the day! I can't thank you enough - I would whole heartedly recommend the Thatch Barn to anyone considering having their wedding/reception here. Thank you so much for a fantastic reception, you were all so helpful and so kind. I wouldn't had been able to manage without all your help. The venue is extremely beautiful with all the fairy lights and wooden beams I just loved everything! On the plus side drinks were also a reasonable price! Fantastic, beautiful venue. Sanchia is very helpful, accommodating and flexible and made everything run so smoothly. The venue was perfect for our double celebration - lots of outside space as well for all the children we had. Beautiful location too. I cannot recommend The Thatch Barn highly enough. To Sanchia and all your staff a very big thank you for allowing us to have such a lovely day for Paula and Ryan’s wedding. Your help and professionalism throughout the whole day (and the day before andthe day after) was utter brilliance. You made my job as dad of the bride, who wanted a perfect day for my little girl, so much easier thanks to you and your team. Thank you so much for such an amazing wedding day. The barn is fantastic, especially as it got darker - I couldn’t help myself just admiring the barn and lights. Thank you so much for all your effort, help and advice. You are all so lovely, amazing family, going above and beyond all our expectations. Myself and Emma would like to thank Sanchia for hosting our wedding reception. 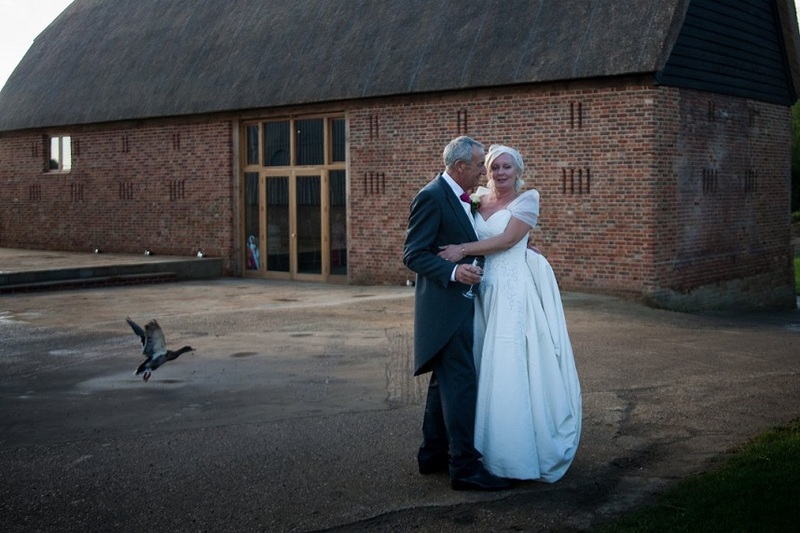 The Thatch Barn is simply beautiful and it made the most idicllic venue for our wedding. Sanchia was so helpful on the day and helped make our special day run smoothly and ensured everyone was welcomed. Thank you for hosting the most amazing day of our lives! 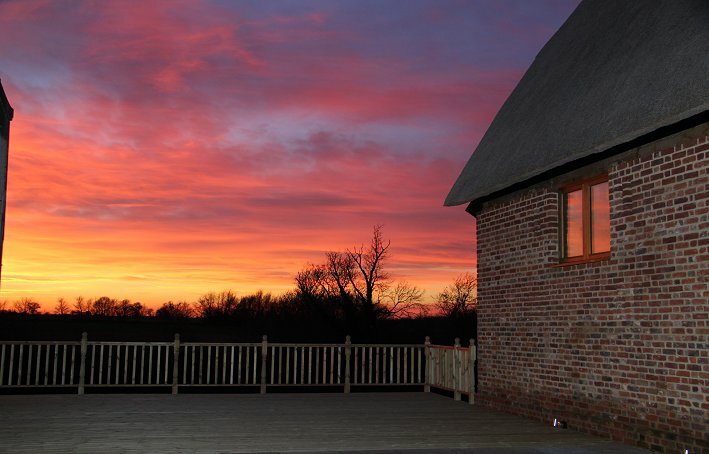 Let others know what you think of The Thatch Barn by giving a star rating and a small review.